The mass media are investing in projects to tackle the main problems of online media today. The speed of downloading, fraud in visits or visibility are some of the issues that mainly concern to monetize online advertising space. The Washington Post has created an internal group called Research, Experimentation and Development (RED) consisting of 15 engineers dedicated to find solutions to these difficulties. The results confirm the success of the initiative, as last year the newspaper reduced the download time of its content on mobile phones by 75% thanks to its new quick download ads and its Post Pulse content recommendation tool. 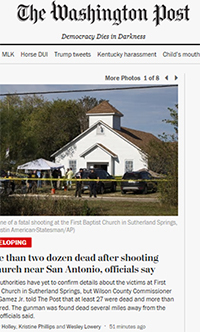 Now, The Washington Post focuses on driving video content through a new format that allows to convert large video files into quick download clips. This format also includes; Higher video resolutions, compressed video files and longer videos. Some brands like Lincoln, Giant Foods or Morgan Stanley have already used these campaigns throughout the year with good results. Jarrod Dicker, head of ad product and technology of The Washington Post, says that this format is designed to help the brands to know what digital format works best for the content to be disseminated. "Many brands, when creating their content, focus on the television medium but they also wish to use it on the web to achieve greater reach with less money. That way they will not achieve performance -vocabulary designed to name a scenic representation that is usually based on the Provocation, "explains Dicker. In The Washington Post, advertisers can choose the location, shape and size of the advertising video as well as establish ratios - indicators and measures to diagnose whether an entity generates sufficient income to cover its costs and to remunerate itowners – with personalized appearance. Wiuh this project, The Washington Post aims to facilitate the insertion of advertising on its sites, to put something in a certain place, to move from being just a means of communication to a real technology company. The above story was written by Clemente Ferrer.